Mine disasters can result in the major loss of life. This prioritizes the need for hazard prevention measures in determining mine atmosphere for early warning systems during day-today mining operations. Rapid and precise analysis of mining activities and the gases released following a mining accident is essential to ensure safe mining operations. This article describes the application of the Agilent490 Micro GC coupled to four independent column channels for rapid on-site determination of mine gases within 100s. Queensland, Australia-based Safety in Mines Testing and Research Station (SIMTARS) is the supplier of gas monitoring systems to mining industries for more than two decades. The company also provides training, support and services to mining enterprises to prevent mine accidents and perform rescue operations. To meet the aforementioned requirements, the Agilent490 Micro GC is used by SIMTARS to obtain a comprehensive analysis of mining gases rapidly. 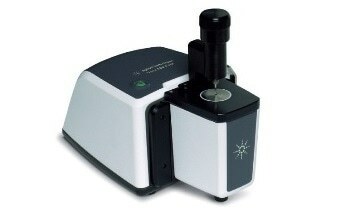 Agilent 490 Micro GC (Figure 1) is equipped with a quad cabinet and four independent column channels. Each channel consists of a micro- thermal conductivity detector, narrow-bore analytical column, micro-machined injector, and miniaturized GC integrated with electronic carrier gas control. Figure 1. Agilent 490 Micro GC with quad channel cabinet housing. The first channel is equipped with a 10m long CP-MolSieve 5Å column operating on argon gas to determine the presence of nitrogen, oxygen, hydrogen and helium. The second and third channels are also provided with CP-MolSieve 5Å column and an additional backflush function. These channels operate on helium carrier gas to determine carbon monoxide and methane in the atmosphere. The fourth channel with a 10m long PoraPLOT U column is used for analyzing ethylene and ethane. The following table summarizes the analytical conditions for all four channels. 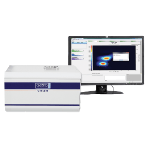 In addition, the 490 Micro GC consists of Agilent EZChrom Chromatography Data Software for acquiring data, and SIMTARS EZGas Professional software for calibrating data and obtaining accurate results. Further, determination of combustion ratios, calculation and trend analysis are performed by uploading the obtained results to SIMTARS Segas Professional software. The first channel column is used for determining permanent gases such as nitrogen, oxygen, hydrogen and helium. A chromatogram showing well-separated compounds of interest is represented in Figure 2. Figure 2. Chromatogram for helium, hydrogen, oxygen and nitrogen separation on the first column channel. The molecular sieve channel running on argon carrier gas determines the presence of hydrogen and helium at low levels. Besides these gases, the presence of nitrogen and oxygen can also be determined with argon carrier gas. Other compounds, in the presence of argon as carrier gas, will possess higher detection limit. The results of gas concentrations are used for calculating combustibility. Helium and hydrogen gases are extracted simultaneously on the sieve column. Helium also serves as a tracer gas to track movements of underground gases. The second channel column is used for determining the presence of carbon monoxide and methane gases. Figure 3 presents a chromatogram of two sample gases with different levels of carbon monoxide. This chromatogram shows the separation of carbon monoxide and methane within 100s. Figure 3. Chromatogram for methane and carbon monoxide on the second column channel. As per Agilent specifications, the detection limit of µTCD is 1ppm to extract compounds on a Wall Coated Open Tubular (WCOT) column, and 10ppm to extract components using micro-packed and Porous Layer Open Tubular (PLOT) columns. The CP- MolSieve 5Å column is a kind of PLOT column, which monitors a small increase in base line of carbon monoxide retention time chromatogram to indicate spontaneous combustion. The separation efficiency of the MolSieve 5Å channel is maintained by its back flush functionality that pushes carbon dioxide and C2 hydrocarbons to the vent.There is a chance of occurrence of retention shifts and separation loss in the channel as carbon dioxide and moisture get adsorbed directly to the channel’s stationary phase, resulting in changes to its chromatographic properties. During analysis, another column channel is mounted in the third position to ensure optimized operational conditions such that one column is used while the other is reconditioned. 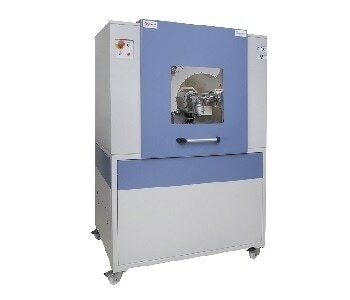 The fourth channel is used for determining ethylene, ethane and carbon dioxide. The figure below shows the baseline separation of these three gases. In order to ensure safety during mining operations, it is necessary to maintain appropriate levels of carbon dioxide in the mine atmosphere. SIMTRAS uses the results of ethane and carbon dioxide to calculate combustibility. When the temperature of coal is increased over 100°C, ethylene is formed, indicating the signs of fire or spontaneous combustion. Relative standard deviation of the chromatogram denotes the exceptional repeatability of the device for retention time and concentration, which is given in the following table. Quantity-based values can be determined at 0.05% RSD for components with ppm level between 0.1 and 0.6% and for components present at percentage levels in the sample. However, retention time is calculated for all components at 0.015% or lesser than that. 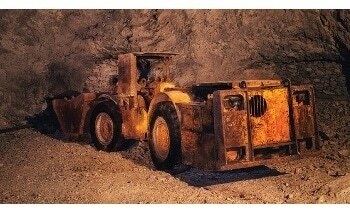 This article describes the 490 Micro GC and its potential benefits for analysis of mine safety. The device investigates the samples within 100, thereby providing trend analysis with accurate results and facilitating early indication of mine accidents. 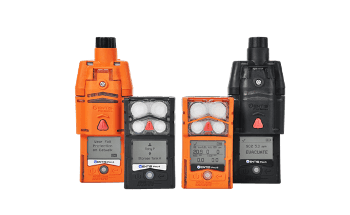 The 490 Micro GC offers rapid and on-site detection of gases in underground mine, and it also identifies components that are not detected by the continuous monitoring system installed in the mine. 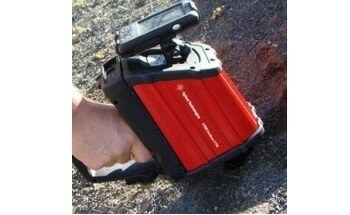 Moreover, the device provides SIMTARS reliable and fast results, useful in analyzing the underground mine environment prior to rescue operations. Agilent is the proven leader in elemental analysis for geochemistry, mining, and metals industries. We offer the broadest atomic spectroscopy portfolio on earth, with AA, MP-AES, ICP-OES and ICP-MS solutions that solve your toughest challenges. Our innovative and unique solutions also create opportunities for you to advance and define new levels of performance. From exploration and production to mine site rehabilitation, Agilent is the single source you require to achieve rock-solid minerals analyses with maximum speed, accuracy, safety and cost savings. This information has been sourced, reviewed and adapted from materials provided by Agilent Technologies Inc.
For more information on this source, please visit Agilent Technologies Inc.
More Content from Agilent Technologies Inc.
See all content from Agilent Technologies Inc.